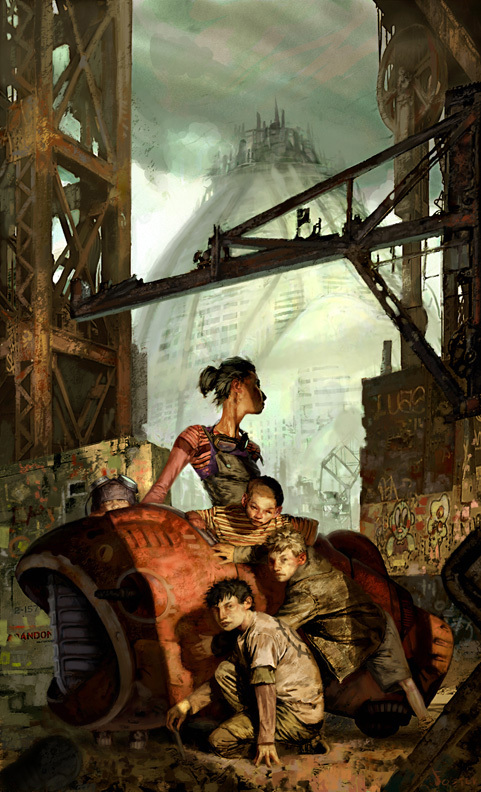 Jon Foster is an American freelance illustrator who lives in Providence, Rhode Island. He is known for comic book covers and book covers. 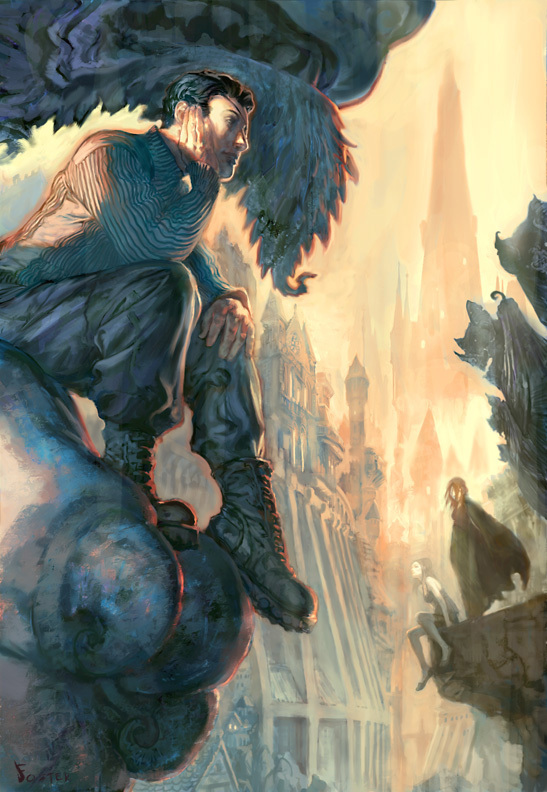 He also has done some Magic: The Gathering card illustrations. 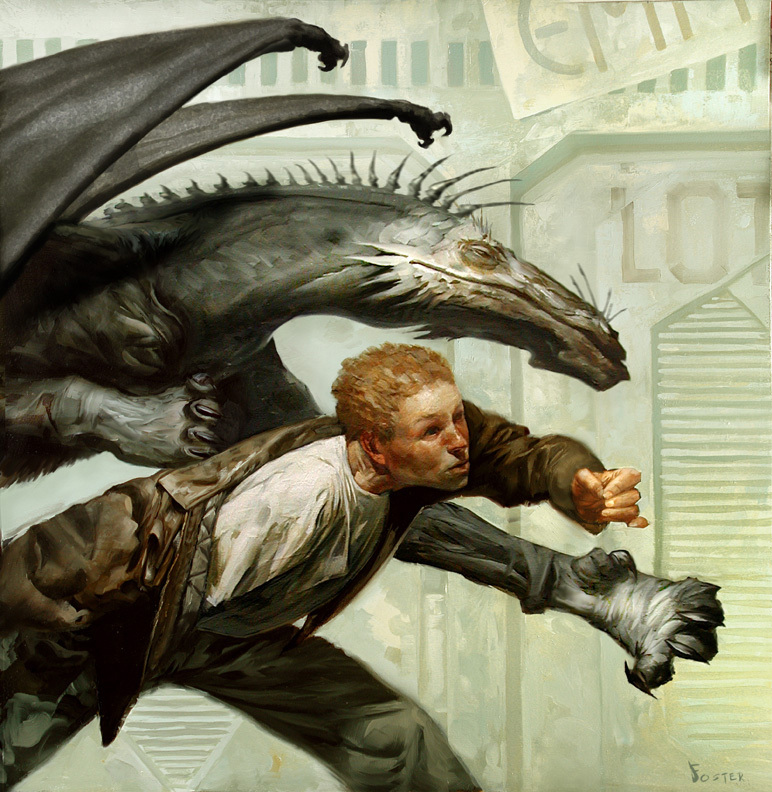 He has won many awards for his work from sci fi and and fantasy art publications. He does his work in oil paint and also works digitally. His works are all very interesting and he knows how to use composition and intriguing perspectives to draw the eye. It’s good since he does book covers. He knows when to use what colours, whether the art needs to be more duller or saturated. He draws in his own style which is rendered in a painterly, realistic-ish way, but the proportions are exaggerates. 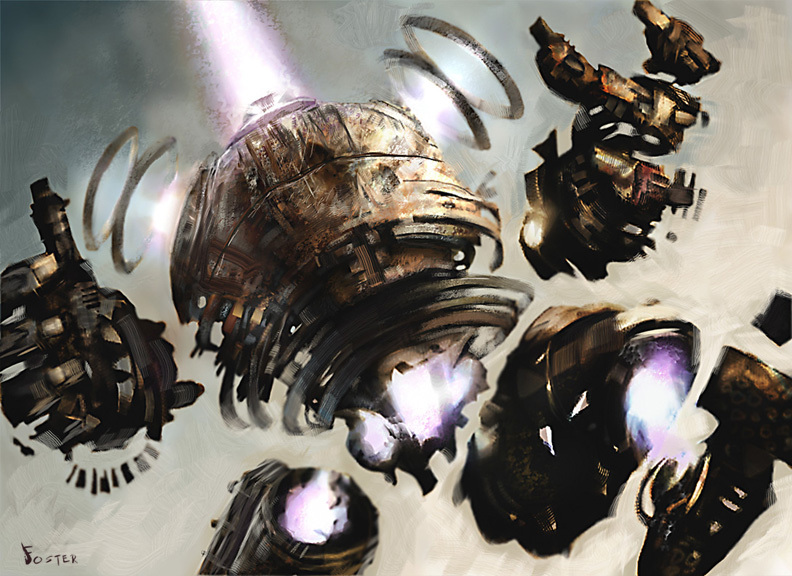 These exaggerations make his pieces more dynamic and thrilling. Though sometimes he makes it more realistic and less exaggerated depending on the work. His execution of his pieces are great, they clearly tell a story and make an interesting image.